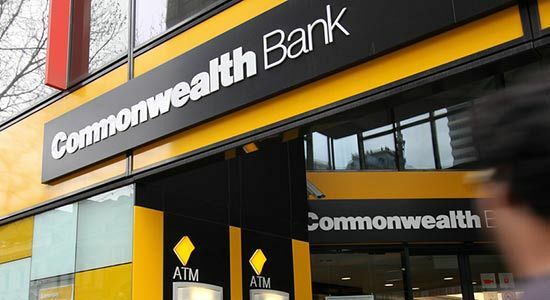 Commonwealth Bank is cutting fixed interest rates on loans for property investors, as the bank chases faster growth, and competition for landlord borrowers picks up. The rate changes from the country's biggest bank suggest banks may increasingly target housing investors for loan growth, after regulators forced a sharp slowdown on this part of the market over the last year. Key rival Westpac on Friday also unveiled a suite of fixed rate changes, including some cuts for fixed-rate interest-only mortgages, another area where banks have been forced to apply the brakes. Westpac also hiked rates across various terms for owner-occupiers. Both banks' rate changes announced on Friday will only affect customers who are taking out a new fixed-rate loan, not existing mortgages. CBA's move to chase property investors more aggressively comes after it said in its most recent half-year results that its loan book was growing more slowly than allowed by the regulators, which have been worried about the housing market overheating. Now that credit growth has slowed, however, and house prices in Sydney and Melrbourne are falling, the banking regulator this week signalled it may remove credit restrictions that have capped housing investor loan growth at 10 per cent a year. CBA, the country's biggest bank, on Friday announced it would cut fixed interest rates for property investors across 1,2, 3 and 4-year terms. The cuts, which range from 0.05 percentage points to 0.5 percentage points, apply to both interest-only investor loans, and to principal and interest loans. CBA is also cutting some of its fixed rates for owner-occupiers. It will reduce owner-occupied principal and interest fixed rate loans by 0.1 per cent over terms of 1 and 2 years, to 3.89 per cent for customers on a package deal. In contrast, CBA said it would increase rates on owner-occupied interest-only loans over 1,2 and 5 year terms by 0.05 per cent. A CBA spokeswoman said: "We regularly review our pricing to deliver the best value for our customers, while maintaining our prudent lending standards." Westpac, meanwhile, on Friday said it would increase fixed rate owner-occupied home loan interest rates by 0.1 percentage points, for loans of 1,2,4 and 5 year terms. Across the most popular term of three years, it will leave rates unchanged at 4.19 per cent. In a sign Westpac may also be looking to boost growth among interest-only customers, however, Westpac trimmed 2 and 3 year fixed rates for interest-only customers. The Australian Prudential Regulation Authority has imposed a 30 per cent cap on the proportion of new mortgage lending that can be done on an interest-only basis, and the major banks are well below this threshold. A Westpac spokeswoman said: "These changes align with our goal to manage revenue, growth, margin, portfolio composition and risk, while still providing our customers with attractive and competitive products."